It’s been a hot few weeks here in London. Above-ground, things have been made worse by the heat island effect: all the reflective hard surfaces and heat from cars and air conditioners, which mean that temperatures in the city centre can be up to 10C warmer than in the countryside. Things have been pretty steamy underground, too. This heat-themed blog takes a look at London’s subterranean heat, and what we can do with it. I love the idea that the city’s excess heat is just another form of waste that can be recycled to benefit Londoners from Islington residents to bathers in Brockwell lido. I was interested to read this article in Wired about the revolting heat of the Central Line, which hit 35.5C last summer. 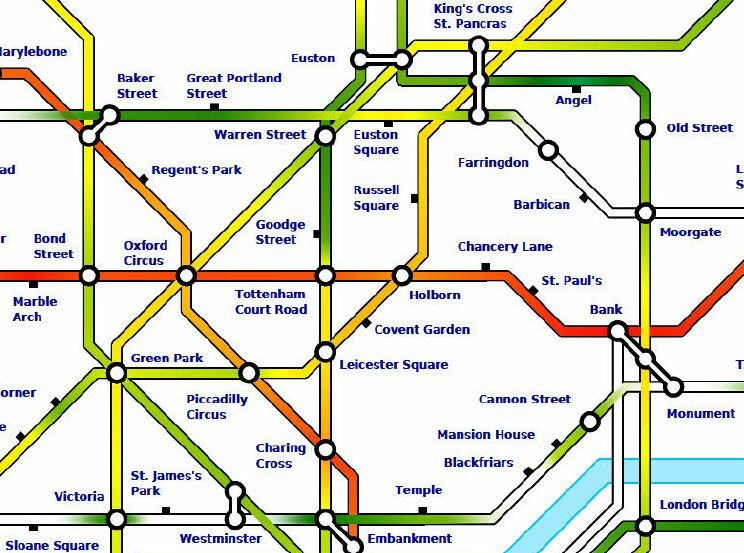 As this heat map shows, it’s consistently hotter than all other underground lines. The reason has to do with the tunnels being too small to let the heat from trains and people escape. Instead it’s locked into the surrounding clay, which has warmed up over the years and is now between 20C to 25C. 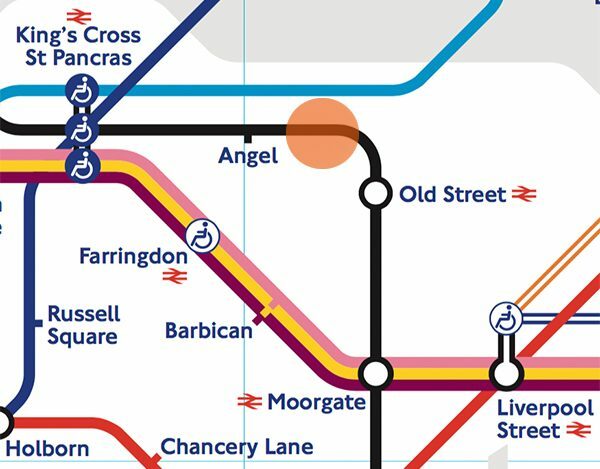 One of the problems with the Central Line is that there are no ventillation shafts. Not so, the Northern Line. One of the shafts is on the City Road, and releases 18-28C air. In an ingenious piece of engineering this heat will soon be captured by heat pumps, upgraded to 80C, and used to heat hundreds of Islington homes. 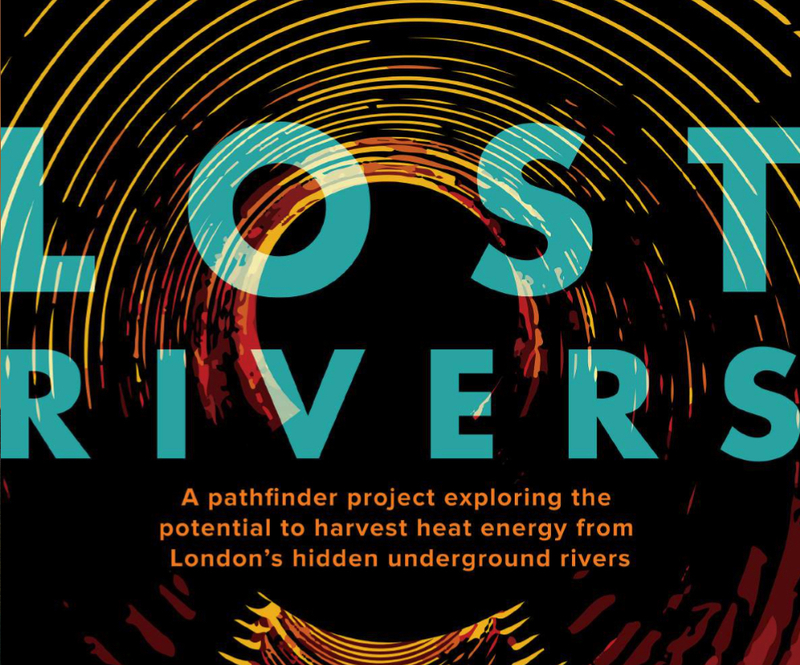 I was tickled by this recent report from 10:10 Climate Action suggesting that heat from London’s buried rivers (which also now serve as sewers) could heat and cool the capital’s buildings. They propose that with heat pump technology Buckingham Palace could be heated by the River Tyburn, Stamford Brook could heat Hammersmith Town Hall and the River Effra could keep Brockwell Lido at 25C year-round.